SURPRISE! I won’t be decorating another room in my Texas home for this One Room Challenge! We have a whole new place to decorate! First though, let’s back up and review this incredible design challenge platform. 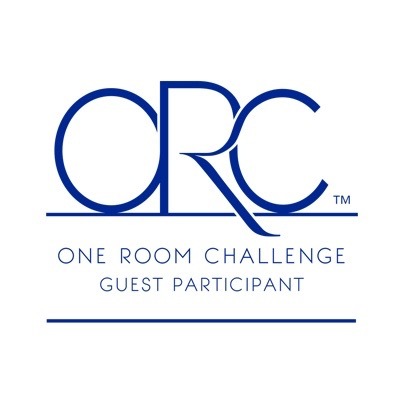 The One Room Challenge is a design event which occurs every April and October. It’s hosted by Calling it Home and media partner, House Beautiful. The challenge is to completely transform a room in just six weeks. Each week, Calling it Home shares twenty featured designers on Wednesday and guest participants can link up here on Thursdays. Sounds fun, right? Or, perhaps we are just crazy for trying to completely transform a room from start to finish in a mere six weeks! Truth be told, it’s probably a little bit of both! Now, let’s get back to my project. Do you remember when I recently announced that we will be keeping our Texas home complete with plans to make some long, overdue changes? Well, that is still happening too. Also, now would be a great time to consider subscribing to our newsletter. I wouldn’t want you to miss out on any of the transformations that will be happening in the coming months. So, Colorado? We recently found a loft in our favorite Colorado town of Boulder. If you have never visited this quaint college town, it is picturesque, a bit quirky and a mere 25 miles northwest of Denver. It’s very dog-friendly too, which is a must for us. Can you tell we are excited about this? This fall, I will be simultaneously designing the loft’s living room and master bedroom. While it was a tough decision, I ultimately chose to only share the bedroom for my One Room Challenge space. I don’t think I will have enough time to complete the living room. Now, I know you may be thinking “another bedroom?” Trust me on this one. My promise to you is this will be fun and different, most notably featuring more color (think ombre wallpaper)! I’m also leaning towards a more modern look for the loft, but with an Anthropologie vibe. Hey, a girl’s gotta accessorize with finds from her favorite store! Luckily, Tony is easygoing, at least about my home decorating projects. To say I am eager to get started would be an understatement! Additionally, I’m excited to hear what you think! Before we move on, I want to share my two previous transformations. This was my first One Room Challenge project and my first time to use wallpaper in years. The Anewall mural is such a statement. I LOVE the way it turned out. You can find the full reveal HERE. An updated source list is HERE. This is our other guest room. You will likely laugh at the “before” pictures. Let’s just say the room was not being utilized for it’s intended use. See the before pictures HERE, the final reveal HERE, and find all sources HERE. And now, the before picture for Round 3 of the One Room Challenge! YIKES! Beige and boring, but I’ll fix that. And lastly, here are some things I’ve been crushing on for this project. You can find the beautiful Anewall wallpaper here. I can hardly wait to show you pictures of it after it’s installed! The transitional Gabby Home dresser is a beauty too. Find it here. 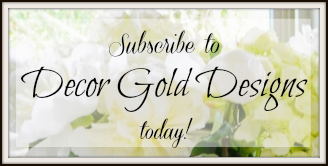 A couple of things to note….I would love to find a bed with gold legs. The ones I’ve seen have to be special ordered, but we need a place to sleep sooner rather than later. Also, I haven’t found lighting that I love yet and that fan must come down! Usually, lighting is the first thing I find, so wish me luck! See Week 2 HERE, Week 3 HERE, and Week 4 HERE. 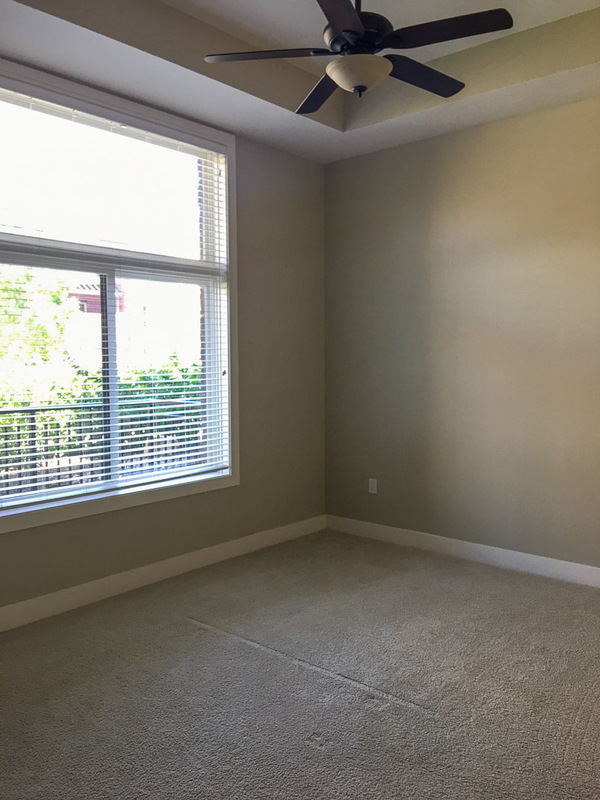 I am excited to see how you Colorado Room turns out. 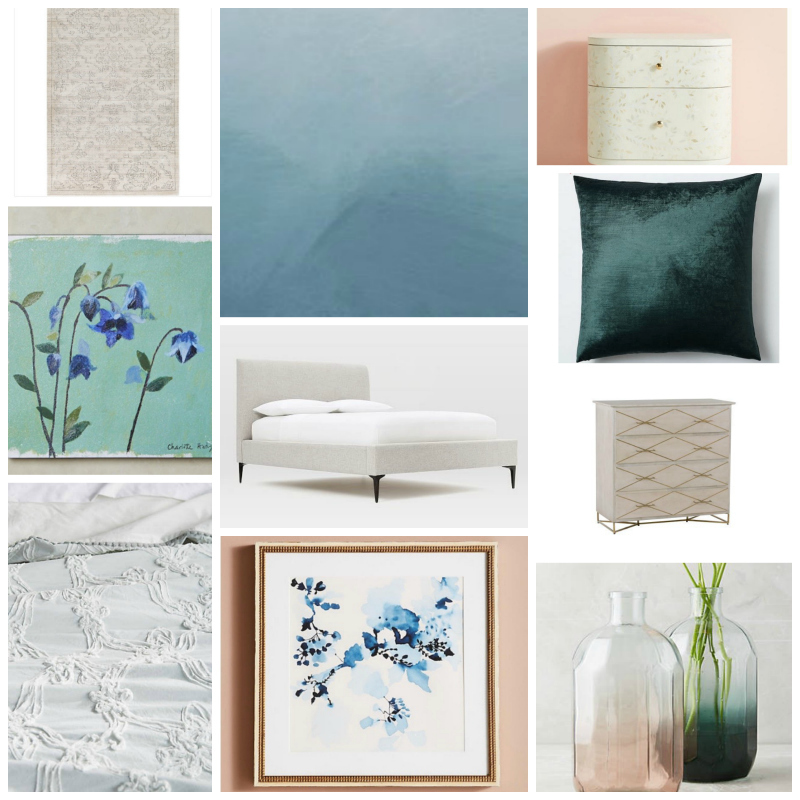 I must say, I am crushing hard on that pretty blue print on the bottom of your inspiration board. I hope that makes the final cut in multiples !!! oH it’s going to look so serene and calm! LOVE that side table and can’t wait to see that wallpaper too… can never go wrong with ombre! We’re doing our loft Master as well! Super excited to watch the transformation of your space and see how it unfolds! 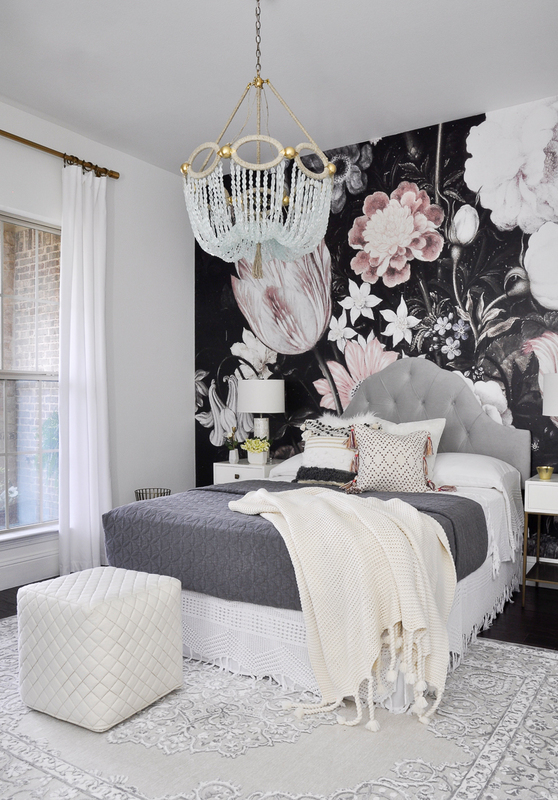 LOVE the idea of wallpapering one wall – we almost did that as well, can’t wait to see how it turns out! I absolutely cannot wait to see the finished product! I am also a HUGE Anthro fan so can’t wait to see the vibe you end up with! Oh how fun! I can’t wait to mix some Anthro into this room! I LOVED your bedroom you did for the last ORC and your moodboard this time around looks very exciting. Looking forward to following this transformation. So sweet of you Norma! Thank you!